Inactivity, no one was every online. Looks like an active fleet, which is what I am seeking. Gets boring going solo. I am laid back, mature, easy to get along with and am willing to help others out if needed. I think that we could benefit each other and have alot of fun. I am also easy going and don't get upset about little things. Real life comes first, but I enjoy coming online and running missions, pvping with others. Not right now, maybe later. Hello and Welcome to Starbase Valhalla. Welcome to the Fleet Midas Array, currently the array is pissed off at Firix and has confirmed this information to me, So if for any reason you need to use the replicators to make any sort of beverage please speak soothingly to the computer and try not to ask it any complicated questions lest we all feel her wrath. I'm guessing you are about to leave your current fleet pending acceptance here? Last edited by Keyes on Fri November 19th, 2010 5:40 am, edited 1 time in total. 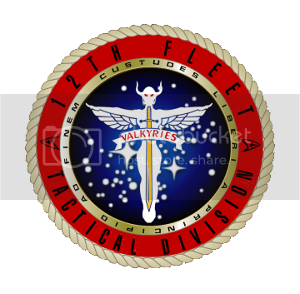 welcome to the 12th fleet! Im glad to have you with us. You will need to wait for your division admiral to place you. I have already left my current fleet on the Starfleet side.